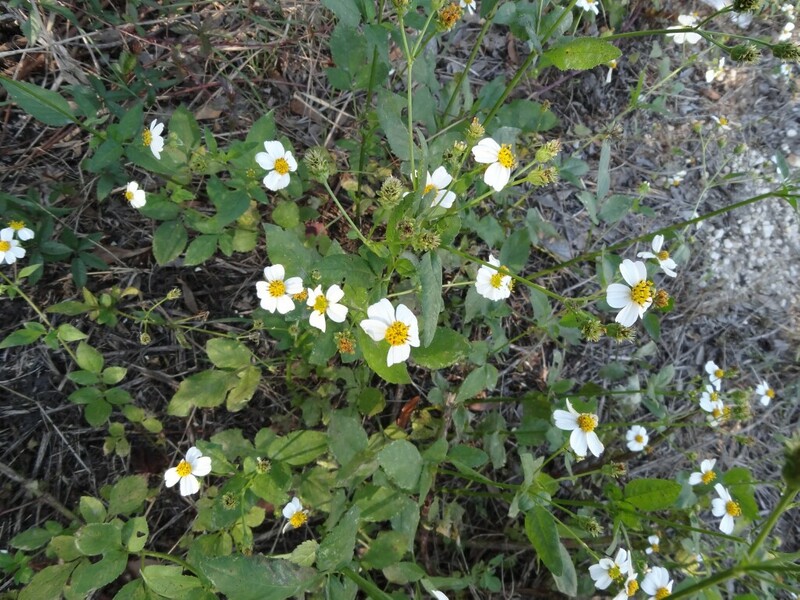 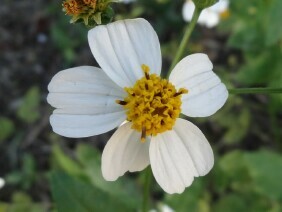 Romerillo is also called Spanish Needles and Beggarticks. 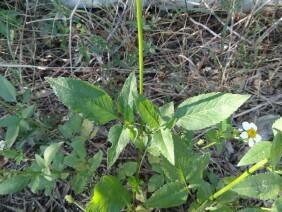 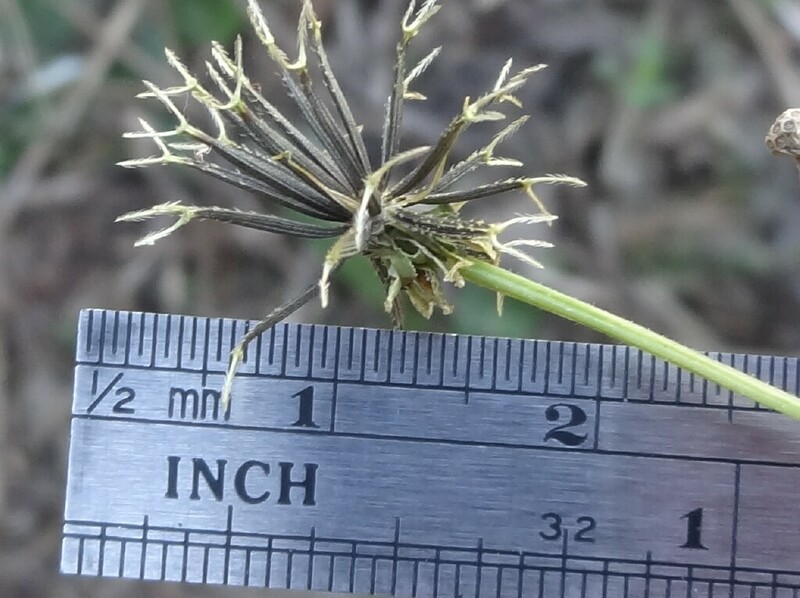 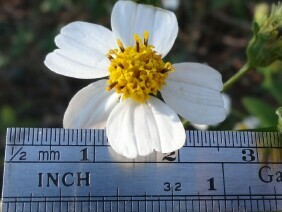 It is a common member of the Aster family in the Mobile area. 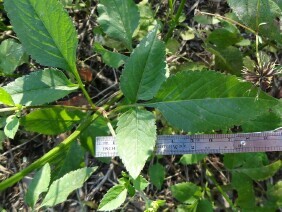 It is common in sandy disturbed ground. 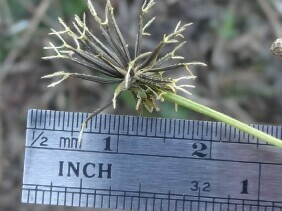 The achene, or seed pod is often found adhering to trousers, socks, and cats. 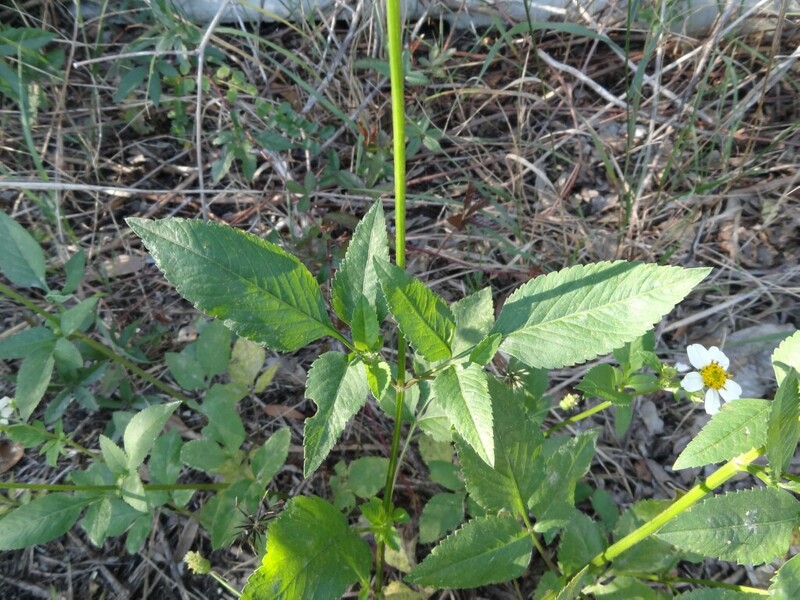 This plant was photographed in late October. 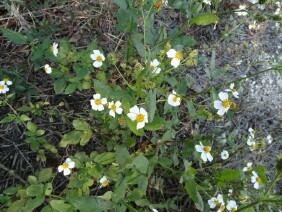 Compare to the yellow flowered Bidens bipinnata.